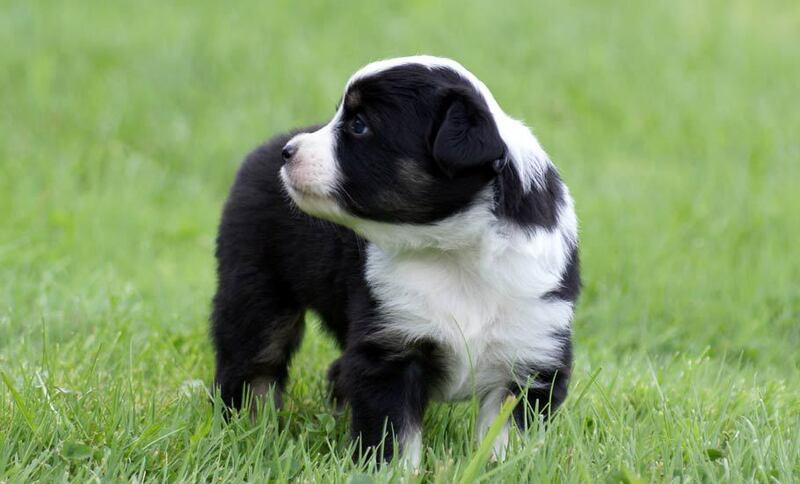 Available Mini Aussie puppies from August 2010 at Breezemore's Maine Miniature Australian Shepherds. 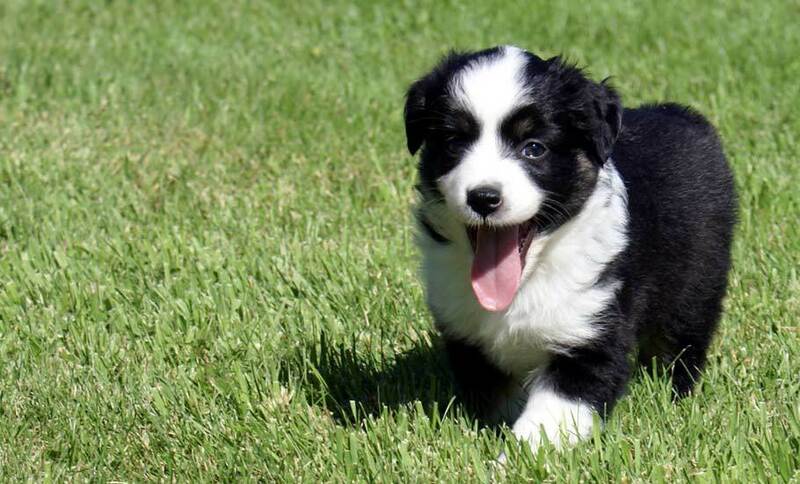 August 2010: New Miniature Australian Shepherd Puppies! This litter of seven puppies (4 females and 3 males) is from Kyle and Eli on the 12th of August. As always, these puppies are N.S.D.R eligible. You can e-mail me at breezemore@gmail.com for more information, questions or pictures. A copy of our puppy contract can be downloaded here. She has two blue eyes and a nice big blaze. On the top of her head she has a gray dot of fur. Sold! Thank you Suzanne. She has named her Willow. 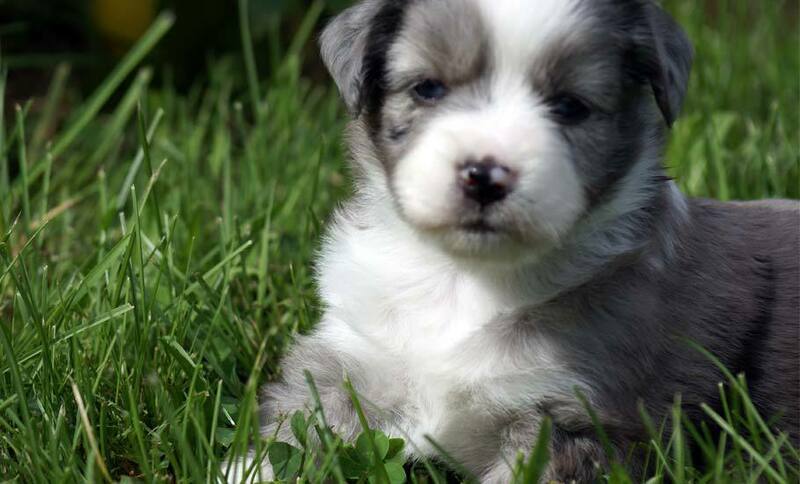 She's got two blue eyes, a 3/4 collar and a beautifully marked face. Sold! Thank you Lejeunes. She is joining Bear as their second Breezemore puppy! This pup has a half collar and a nice blaze. She will be a gorgeous bi; just enough white on her face to show off her shiny black. She's a very inquisitive pup. Sold! That you Chudnoskys. They have named her Brady. She has a nice wide full collar. The copper is coming in on her face. She has a nice strong blaze. She's a smart little pup -- she is constantly defeating any effort to keep puppies in the pen. She much prefers to have the whole of the kitchen to herself instead. Sold! They have named her Lucy! He has two blue eyes and nice copper. His blaze leads into a 3/4 collar. He loves to give kisses. Sold! Thank you Jacques family. He has a partial blue eye and pretty copper on his face. Sold! Thank you Lawsons. They have named him Sage.